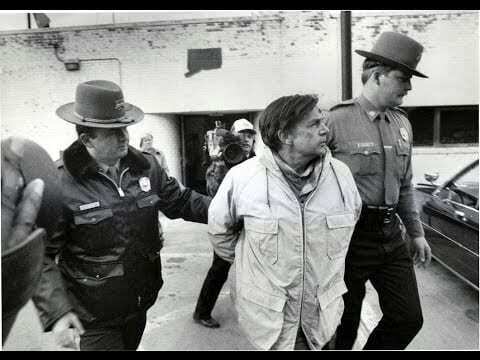 It was a gruesome and shocking crime that thrust the state of Connecticut into the national headlines and ultimately became the inspiration of the award-winning 1997 movie, Fargo. Helle Crafts was a Danish air stewardess for Pan American. Richard Crafts was a pilot for Eastern Airlines. This was how the future couple met. They married in 1979 before settling down in Newtown, Connecticut, where they had three children. Richard took on a second part-time job as a police officer while Helle continued to see the world as an air stewardess. On the 18th of November, 1986, Helle Crafts landed in New York after attending a flight from Frankfurt in Germany. She and two other stewardesses drove to Newtown and pulled up outside Helle’s home. “Richard’s home,” she sighed. It was the last time anybody saw her alive. As it turned out, Helle had recently discovered that her husband had once again been having an affair behind her back. After discovering phone calls to an unknown number, she decided to hire a private detective to watch her husband and to confirm her fears. As he handed Helle photographs that corroborated her fears of infidelity, she wept. She filed for divorce shortly before her disappearance and expressed fear for her life to her friends. Helle’s divorce lawyer said she told them “that if anything happened to her, we should not believe that it was an accident.” She also divulged to her lawyer that Richard “had a lot of guns in the house,” and that he had physically abused her in the past. Despite the fact that Richard was cheating on Helle, she decided to obtain a no-fault divorce as opposed to charge her husband with adultery. She was concerned about the children as well as what the community would think. The write was dated November 11th but the papers were never served. Following her disappearance, Richard gave varying reports as to where Helle was. First of all, he told Helle’s friends that she was on another flight. Helle’s co-workers were immediately suspicious due to the regulations that restricted her from flying again so soon without having a proper rest period. Then Richard changed his story and said that she was in Denmark visiting her sick mother. This lie soon crumbled when her mother said no such arrangement had been made and that she wasn’t sick. He then told concerned friends that she was in Florida or the Canary Islands visiting with a friend. Just days after her disappearance, Richard dismantled and redecorated their bedroom and purchased a new freezer; an odd thing to do when your wife is missing. One of Helle’s co-workers, Rita Buonanno, had become increasingly worried about her friend and ultimately reported her missing on the 1st of December – two weeks after she was went missing. The fact that her husband had not even reported her missing set off alarm bells. As a matter of fact, Richard had been having numerous affairs behind his wife’s back. These affairs continued after Helle’s disappearance and never once did he mention to these women, who knew he was married, that his wife had vanished. Investigators considered something sinister had happened to Helle and zoned in on Richard who had been acting very peculiarly. The following month, they discovered that he had rented a 2700-pound wood chipper and a U-Haul truck shortly before Helle disappeared. He told the rental service that he had cut down some trees at his property. Highway worker, Joseph Heinz, soon came forward to inform police that he had seen Richard parked at the side of the road alongside the Southbury Shore of Lake Zoar with the wood chipper in tow at around 3AM a day or two after Helle disappeared. He said he recalled the day very clearly as it was the date that he was called to work to plow roads during the season’s first snow. Police rushed to the scene where they uncovered clumps of scattered wood chips under layers of dead leaves. Among the wood chips, they found something much more sinister: a human thumb, a fingertip with the nail attached, strands of blonde hair, a big toe, bone fragments, lacy material from underwear, a mailing label with Helle Crafts name on it and a crowned tooth with a piece of jawbone attached. 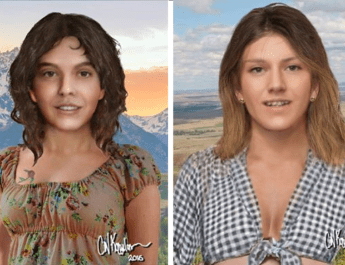 An anthropology expert determined that the bone fragments belonged to a human and a forensic odontologist was able to identify the tooth as belonging to Helle Crafts. 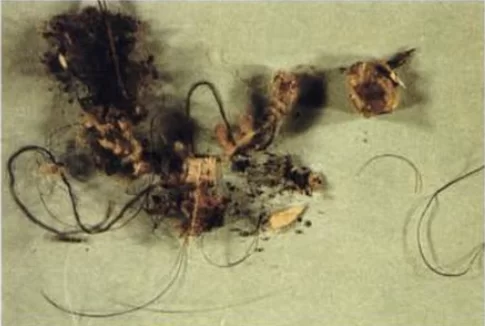 A close up of hairs, wood and tissue debris located along the river bank. Credit:Henry Lee’s Crime Scene Handbook. In addition, they uncovered a submerged chainsaw in the Housatonic River. The chainsaw had blonde hairs intertwined in the chain. Investigators were also able to retrieve a bloodstained carpet from inside the home. Inside the rented U-Haul van, they also found a clump of tissue-like material that tested positive for human blood. Based on this information, Helle Crefts was pronounced dead and the net was quickly closing in on Richard. He was arrested when he arrived home from a ski trip. As the trial date loomed, the location had to be moved as it was impossible to find jurors that had not yet heard of the case. “Every juror in Danbury knew something about the case. They talked about it constantly and made jokes about it frequently,” said one local.2 It was decided the trial would be moved to New London. After questioning 46 prospective jurors over the course of five days, 10 men and two women were selected. The apprehension of Richard Crafts. 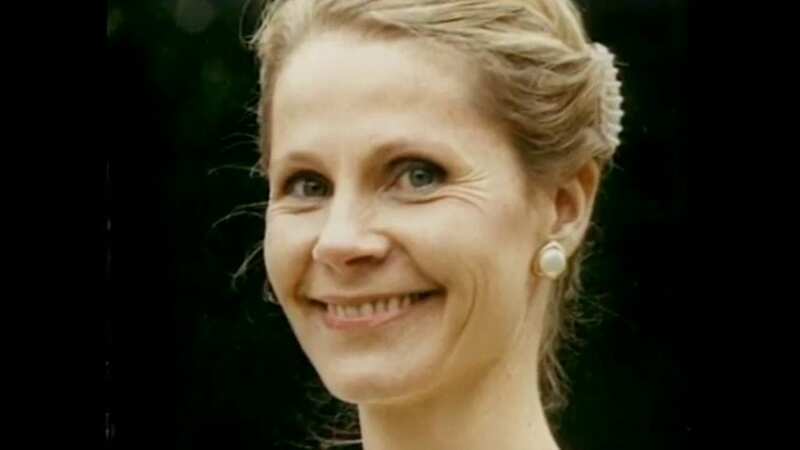 Prosecutors faced a double burden because not only did they have to convince the jury that Helle was actually dead, they also had to convince the jury that Richard was the one who killed her. There was no physical body, after all. The motive, they argued, was that Richard didn’t want to get a divorce. He killed Helle before dismembering her body with a chainsaw and feeding her through the wood chipper, they contended. 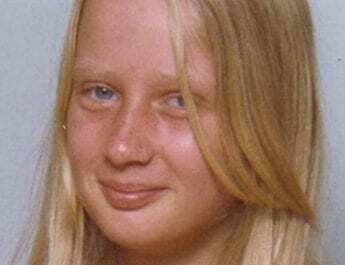 During his trial, the couple’s housekeeper, Dawn Marie Thomas, told the courtroom that on the day of Helle’s disappearance, Richard had allowed her to go home early. 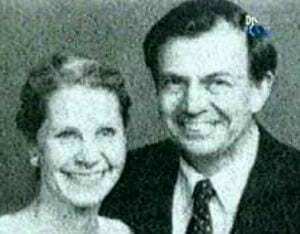 She also said how she had witnessed the couple have an argument just several days before the disappearance. Dawn also testified that Richard had removed a freezer and a carpet with a large black stain from their home just a couple of days after Helle disappeared. When Dawn asked about the peculiar stain, Richard told her that he had spilled kerosene on it and that he didn’t want her to clean it. Richard was clearly unaware that kerosene does not leave a stain. It would leave an odour, sure, but it would be like spilling water. The following day, the carpet was gone. She also told the court that the freezer was working just fine when Richard decided to get rid of it. Was this where Richard had kept Helle’s body before disposing of it? The prosecution argued so, however, the freezer was never retrieved to be DNA tested. 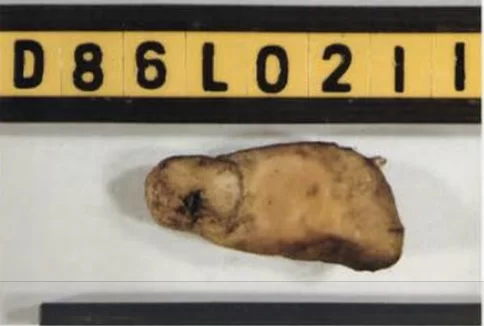 The upper portion of a human finger which was found on the river bed. Credit: Henry Lee’s Crime Scene Handbook. 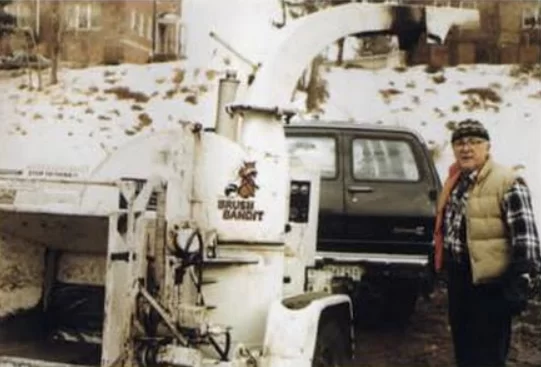 The wood chipper rented by Richard Crafts. Credit: Henry Lee’s Crime Scene Handbook. The prosecution contended that Helle was terrified of her husband and that she feared for her life. Testimony from Helle’s friend, Susan Lausten, said that she had “expressed fear for her safety, from conversations and dealings she had with Richard, and was concerned that he may harm her.” Lausten also told the court that Richard had physically abused Helle before and that he lied about his colon cancer returning as a ploy to make her cancel the divorce. Helle, however, had called Richard’s doctor regarding the cancer and he told her that it was untrue and that Richard was very much well. The jury were sent away to make their decision but after 17 days of deliberation, the judge declared a mistrial. One of the 12 jurors refused to continue marathon deliberations. A second trial was scheduled for the following year. This time, the prosecution was able to successfully argue that Helle had been murdered. 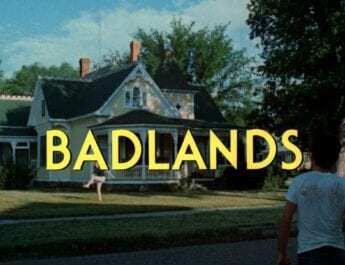 From the hair intertwined in the chainsaw to the bloodstained carpet inside Richard’s home, the evidence against him was damning and ultimately, the jury found that Richard was guilty beyond a reasonable doubt. He was sentenced to 50 years in prison. The infamous “Wood Chipper Murder Case” was the first case in which somebody was convicted of murder with no body in the state of Connecticut. Omg I always wondered what Fargo was based on. What a horrid man. Why not just get a divorce? I love Fargo and never heard of this case. As sandy said below why not get a divorce? I am so glad he slipped up because this case could have easily went unsolved I think if not. rip helle.